By Peter Anderson 2 Comments - The content of this website often contains affiliate links and I may be compensated if you buy through those links (at no cost to you!). Learn more about how we make money. Last edited April 8, 2019 . I‘ve gone through the quote process to get life insurance in the past, and one of the biggest pain points can be actually filling out the application for coverage. They'll ask for all sorts of information, and you'll spend quite a bit of time answering questionnaires, filling in all of your personal information, only to not get an instant payoff. You'll get a landing page saying “thanks for sending in your quote request”, and then you have to wait to get a response, often by phone, or even fax. The life insurance process isn't exactly fun. Today I want to look at a service that's a bit different than the average insurance broker. 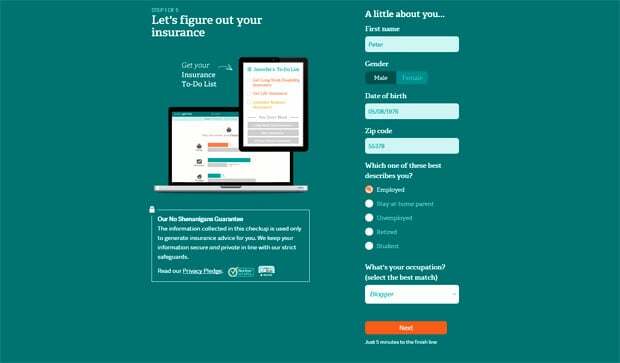 PolicyGenius is a new site that aims to make the process of getting insurance easier and less frustrating. Let's take a look at just how easy it can be to get insured. If you don't already have term life insurance, it should be something that's at the top of your list, especially if you have a spouse and children depending on you. What would they do if you died before your time? Would they have enough to get by? In most cases, probably not. I know that getting life insurance isn't exactly a fun thing to think about, but it is extremely important. The problem is, not enough people are getting coverage. Limra states that 43 in 100 people have no coverage of any kind. Of those that do have coverage, 1/3 of them got coverage through a group plan of some kind, and may not have enough coverage. 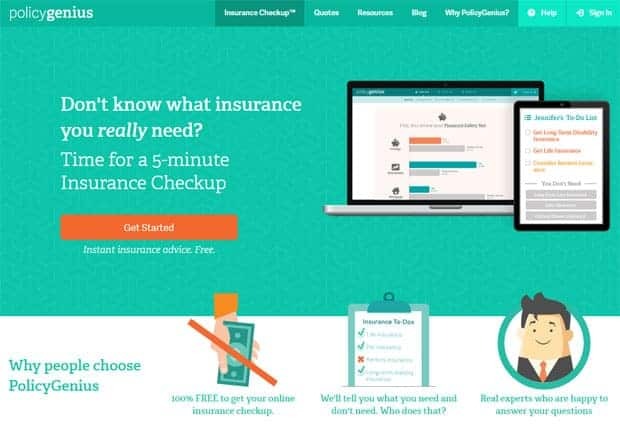 PolicyGenius understands that the process needs to be easier, and their aim is to, “get people the insurance coverage they need and make them feel good about it“. The PolicyGenius site is easy to use, and has tools and resources for just about any shopper. They are an independent site and not affiliated with insurers so they can give you solid, unbiased advice and quotes. When it comes down to it, just how easy to use is PolicyGenius? I decided to give it a try. Next the checkup tool will ask you a series of questions to determine your acceptable level of risk. It will then ask for your marital status, living situation (rent vs. own), whether you have kids (and how old). 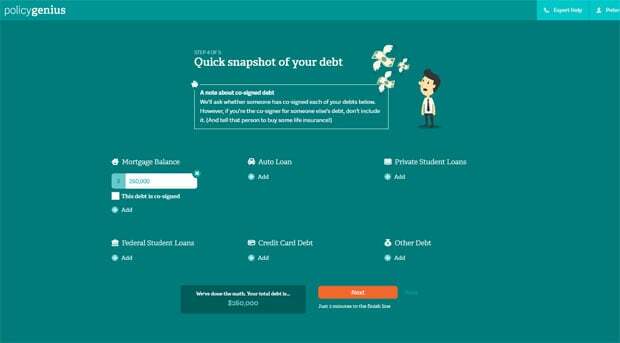 Then it will ask for your income and assets, as well as debts. Finally the system will ask what types of insurance you already have, everything from life insurance and long term disability, to auto insurance and pet insurance. When all is said and done you'll be presented with your insurance checkup. First, it will tell you where you are for your financial safety net (savings), long term assets and debts, in comparison to people of your age. It will then give you an idea of what type of insurance people like you typically have, compare it to what you currently have, and give you a breakdown of where you should consider adding insurance. It will then give you an insurance “to-do list”. On the final page you can begin the process of getting an insurance quote. In this case, let's look at getting term life insurance. 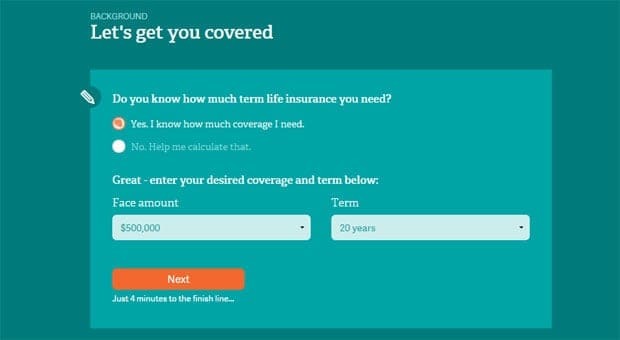 To begin the term life insurance quote process it will ask you how much coverage you'd like, and for what term. The next page asks for all of your background information including name, gender, date of birth, height, weight and income. If you entered this information in the insurance checkup tool, it will be transferred over. Next, it will ask for your health information. It will inquire about any health concerns, high blood pressure, cholesterol, depression and more. It will also ask about your driving history, and any drug and alcohol use. Finally it will ask you to save your progress by entering your email before it gives you your quotes. After entering my email I was taken to a screen where I was given my quotes. At the top of the screen I saw a heading of “your best options” based on my underwriting class. The two best options listed were based on the “best price” and the “fastest approval”. The best price policy was from BannerLife, which had A+ ratings from A.M. Best and from the Better Business Bureau. 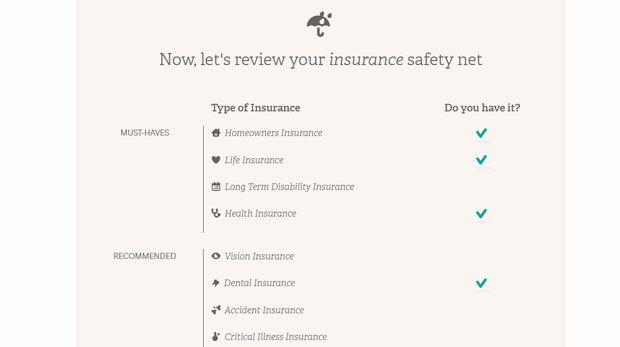 if you want more information about the insurer you can click on “more about this insurer” and get an independent PolicyGenius evaluation for the insurer. The evaluation includes details like how fast their application process usually is, how their customer service is rated, details about the policy, unique features of the policy and more. 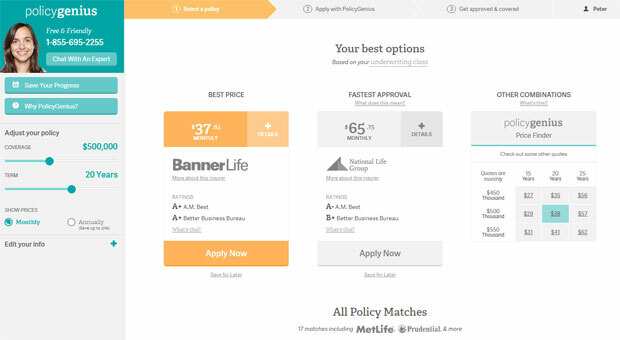 If you're more concerned with finding a policy to fit a certain price range or need, you can use the PolicyGenius Price Finder tool to choose different policy terms and pricing. If the “best option” policies don't fit your needs, or if you don't like that particular company, you can choose from the rest of your policy options listed below your best options. For my quote I received quotes from 17 different companies. The top companies in the list all had high ratings and had competitive quotes. If you want to play with your policy coverage and terms, you can quickly get quotes on those modified terms as well. You can also choose to pay the policy monthly or annually, receiving up to a 10% discount for paying it annually. Once you've chosen a policy you can click on the “Apply Now” button and it will ask you for some more detailed information in order to send in your application for coverage. Once you're done you submit it for review. You'll get your own dedicated expert to manage your application, and they'll guide you through the process from start to finish. They'll handle all the paperwork, schedule the medical exam, retrieve necessary medical records and answer any of your questions. They'll confirm when you're approved and set to go. The application and policy approval process can take anywhere from 3-4 weeks or more, depending on the insurer and policy you purchase. I went through the process of getting quotes with PolicyGenius twice. Once for term life insurance, and once for long term disability insurance. During both sessions I had questions about the process and how it worked, and I engaged with their chat representatives. On both occasions I received helpful answers from reps who responded quickly and accurately. After receiving quotes I also received a support phone number I could call with any questions or concerns. My initial customer service interactions were very positive, and I'm assuming yours will be too. 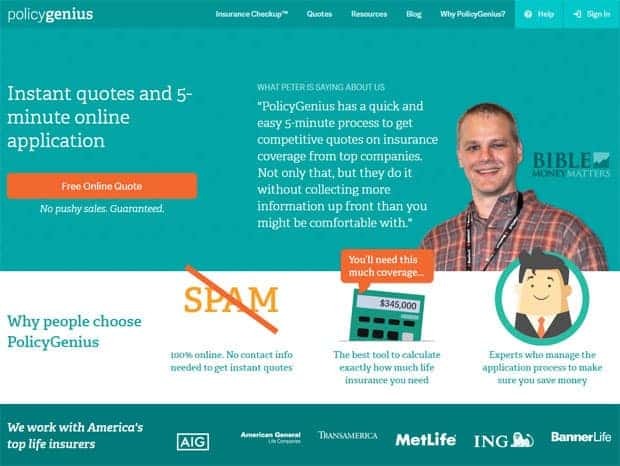 PolicyGenius is a great place to go to not only figure out how much insurance you need (through their “Insurance Checkup”), but also to get a wide variety of quotes on term life insurance, long term disability insurance, renter's insurance and more. The process is quick and easy, only taking 5-10 minutes, and in the end you'll have a wealth of information to help you make the right decision for you and your family. 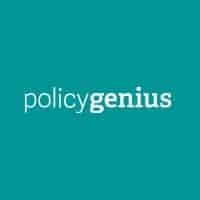 After having been through the process I can highly recommend checking out PolicyGenius for your insurance needs. Run…Run far away from this company. It has a slick website and very poor customer service and follow through. By the time you complete the process you will be in a higher cost bracket. Very poor customer service. It takes days for them to respond to emails. I have been trying to get the medical check for 6 weeks and they have failed to show, not called, rescheduled, and uses a company that does not answer their phone. So, if you want a slick website this is the place for you. If you want insurance go somewhere else. I’m the CEO of PolicyGenius and I apologize for your experience. It’s not the bar we hold ourselves to nor the experience we aspire to deliver to our clients. You’re right that your medical exam scheduling was mishandled, which is incredibly frustrating. Unfortunately, to do the medical exams, we have to rely on third party vendors approved by the life insurance companies. The medical exam vendor who mishandled your case has been reassigned to not serve any of our clients. Our head of client service is monitoring your case personally so that we can fulfill our promise to you of a good experience. If we deviate from your expectations again, please let me know.